Women of Rajasthan wear a long skirt called Ghaghra, Choli or Kurti (blouses and tops) with an Odhini. The Ghaghra reaches above the ankle that has a narrow waist increasing the flared and width to the base. Ghaghra is commonly unfolded from the lower end such as usual skirts. The pleats and width are the symbol of health of females. Ghaghras can be found in diverse styles and colors. They are very famous among women in Rajasthan, mostly made of cotton, colored and designed with Laharia, Chunari and Mothra prints. The one corner of Odhni is properly tucked inside the skirt and the other end is worn over the right shoulder or the head. The motifs and colors which are available on this dress are especially to caste, kind of dress and worn occasionally. Both Muslim and Hindu women wear this clothing. Odhni can be found in different colors and styles and it is commonly selected as per the color of the particular skirt that is worn with it. Beautiful Rajasthani jewelleries are designed uniquely and stylishly embellished with diamonds, emeralds and expensive stones. Men also wear earrings with a pearl necklace or gold chain, a thick and big bracelet is also worn around their neck. Females from tribes such as Meena, Gayari and Bhil put on different kinds of jewelleries. Females of Raikas and Rabaris adorn with beautiful silver jewelleries. A number of designs are related to natural elements such as moon, leaves, sun and flowers. The regional style and taste can be seen in Royal dresses of Rajasthan. The luxurious and rich costumes were designed beautifully by the special people during ancient times. In order to take care of the dresses of king and queen, there were two specific sections, namely Kapaddwadra and Toshakhanand. Rajput kings loved to wear high-class dresses. Hence they were colorful and designer clothing. Rich materials were used to design royal cloths from Gujarat and Varanasi, and woven and embroidered Kashmiri shawls were preferred by Royal men and women. Most of the shoes are designed from sheep, camel or goat, which are called as Mojaris or Jootis. These shoes are beautifully crafted with stunning embroidery over velvet or brocade. The turban called Pagri, Pyjamas, Angarkha, Dhoti, Waistband (Patka) and Kamarbandh are integral clothing of men in Rajasthan. Pagri (turban) is an important part of men’s costume in Rajasthan. 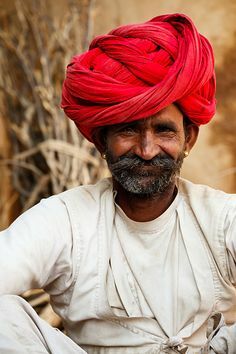 The way turban is worn comprises a unique significance to Rajasthani men as it is a symbol of the region and caste from where the individual belongs. Turbans can be found in different colors, shapes and sizes. Additionally, special types of Pagris are designed during big events and festivals. People living in Udaipur are habitual of tiring a flat Pagri over their head, while people of Jaipur prefer an angular Pagri. Jodhpur men like to wear Safa having curved bands. More than 1000 types of Pagris are worn by men in Rajasthan. A normal Pagari is commonly eight inches wide and eighty two feet long. Most of the common men in Rajasthan wear only one color of Pagri, whereas rich men wear colorful and designer turbans. Pyjamas or Dhotis are used for covering the lower part of the men’s body. It is a piece of cloth that needs a little practice to wear it in an appropriate way. Dhoti is worn as regular dress which commonly has white color. During some special events, men wear Zari border and Silk Dhotis. It is a body protector commonly designed by cotton. During festivals in this part of the world, people wear designer Angarkhas. There are 2 main types of Angarkhas i.e. long Angarkha and Kamari Angarkha. These can be found easily in many markets throughout Rajasthan. It is a beautiful garment commonly worn by royal families or higher classes, which is made of cotton. In medieval times, the clothing was worn all around the waist but now it can be seen less among youngsters. However Brahmins also use to wear Patka with traditional dupattas.